A Trip to Argyle Waterfall! 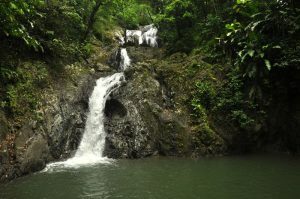 On this tour, enjoy a visit to one of the highlights of Tobago’s windward coast – Argyle Waterfall. We take you on a leisurely drive along Tobago’s windward coast towards Roxborough. 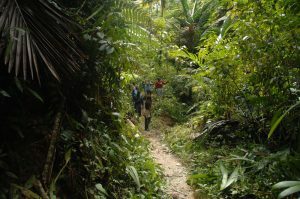 From here your tour will set off on foot as you take to the Argyle Waterfall trails, entering the oldest forest reserve in the Western Hemisphere. The Argyle Waterfall is located within the Roxborough Estate, which was originally a sugar plantation until the 1870s. Ruins and artefacts of the old sugar mill can still be seen today. Watch out for Caymans and other local wildlife along the way. $70 US or TT$450 per person incl. entry fee, refreshments. Island Round Trip – Jungle Fever! A full day’s tour, giving you the chance to see the very best of this beautiful island. We’ve included sightseeing along both the Atlantic and Caribbean sides of the island. From lush green rainforest to stunning secluded beaches, exhilarating waterfalls and historical sites, take in some of the most breath-taking views of the Caribbean, soak in the atmosphere, and experience Tobago at its very best. $70 US or TT$490 per person including lunch and drinks. Minimum 2 persons. Drive along the windward side of Tobago admiring the Atlantic coastline and villages, until we reach Speyside. A glass bottom boat will be our transport to Little Tobago Island. View parrot fish and queen angels along the way. 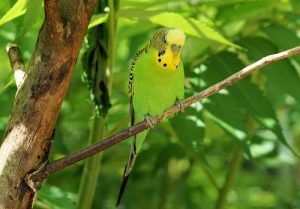 Little Tobago is a haven for rare birds including red-billed tropicbirds, magnificent frigate birds, shearwater and red footed boobies. 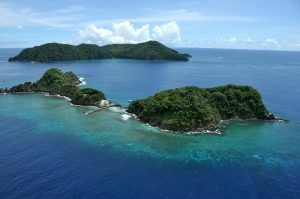 Or we snorkel off Goat Island, the best reef in Tobago, and home to the largest brain coral. With over 50 species of reef fish, manta rays and turtles, the island is sure to surprise everyone!